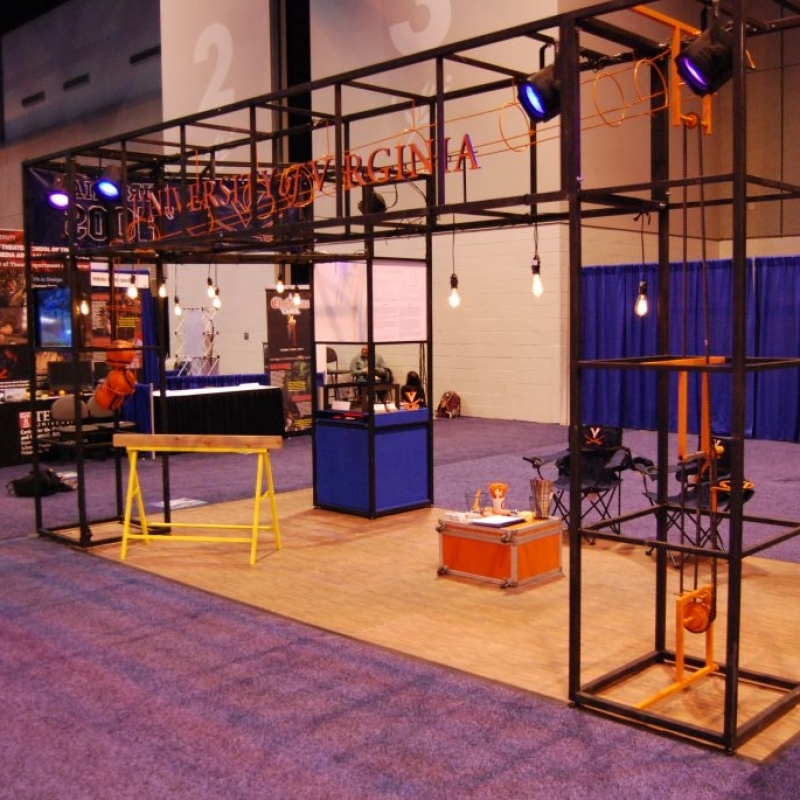 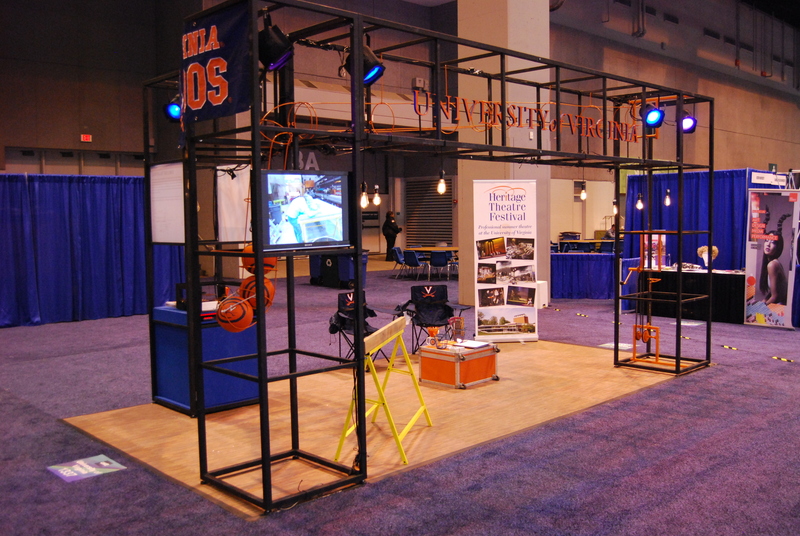 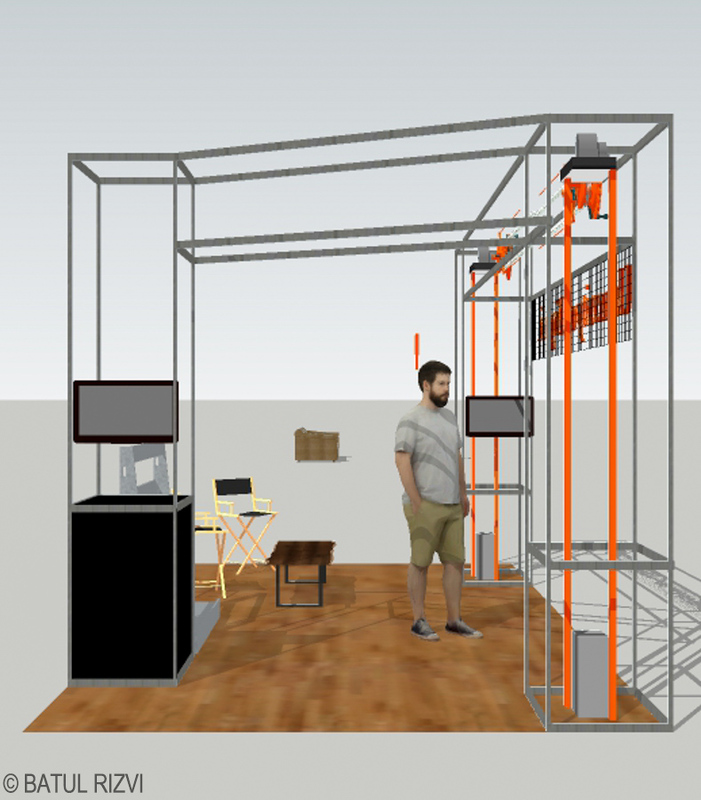 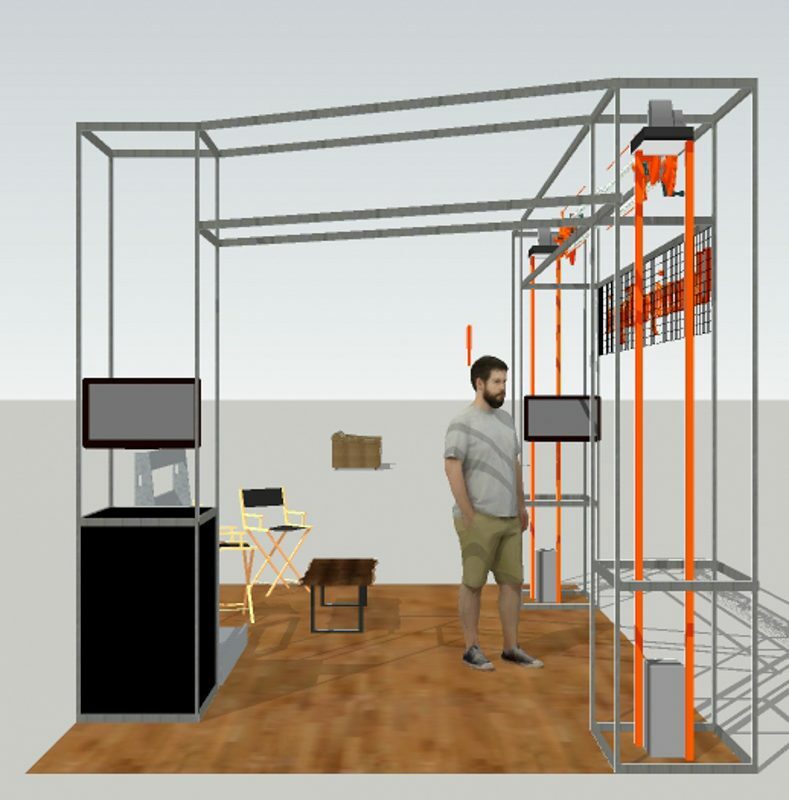 This booth design was used for the USITT (United States Institute for Theatre Technology) Conference in St. Louis, Missouri. 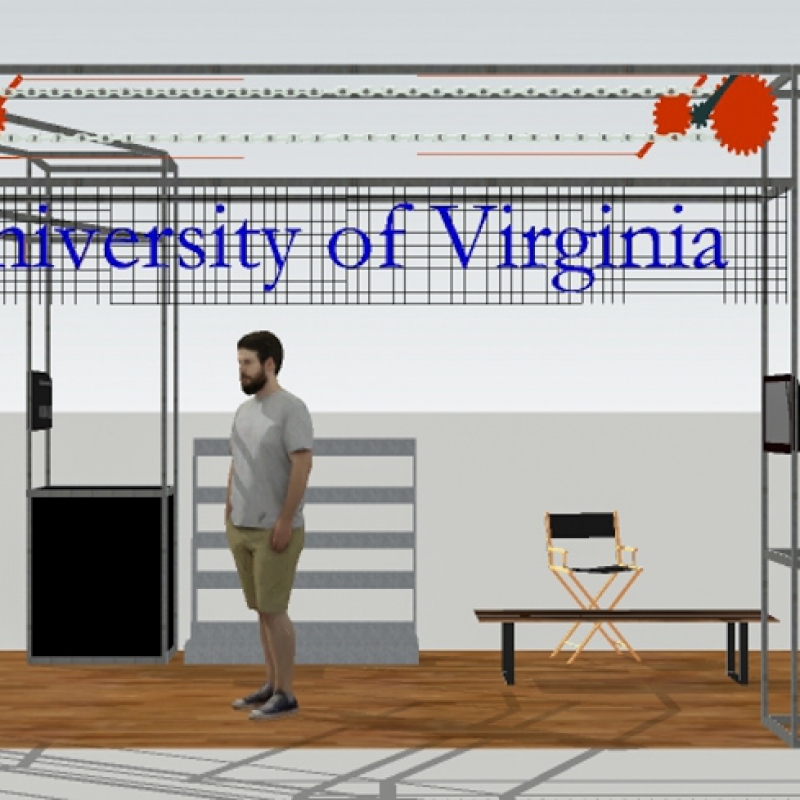 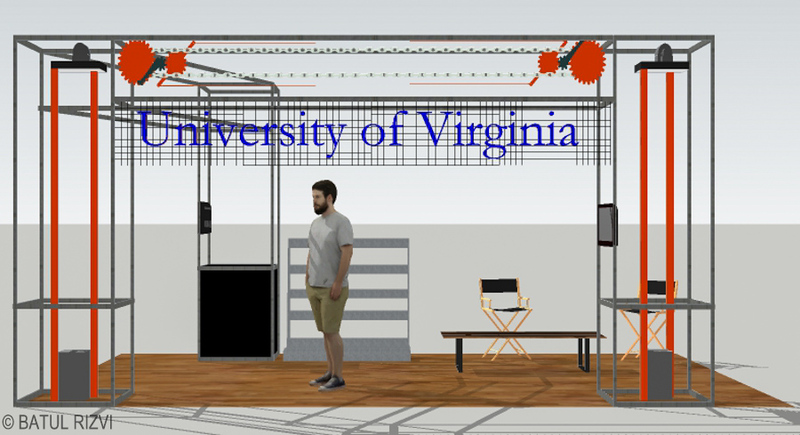 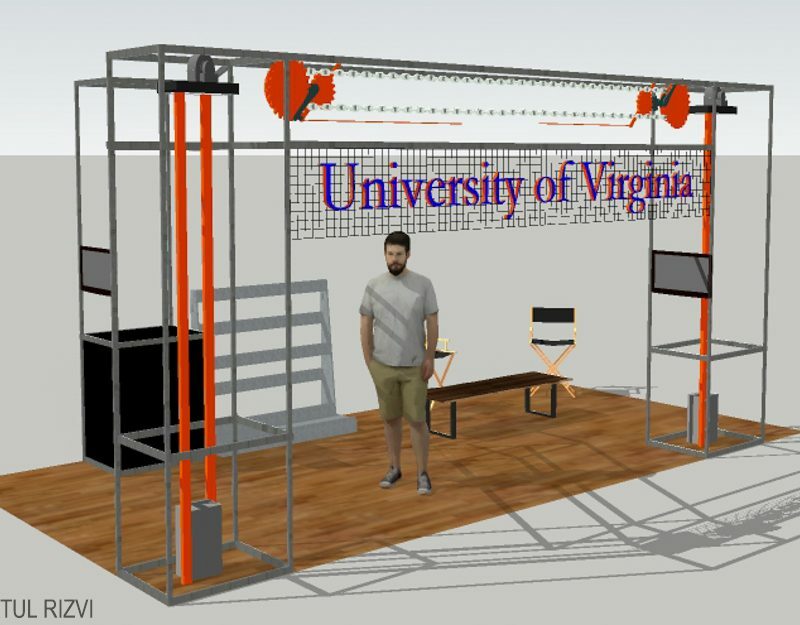 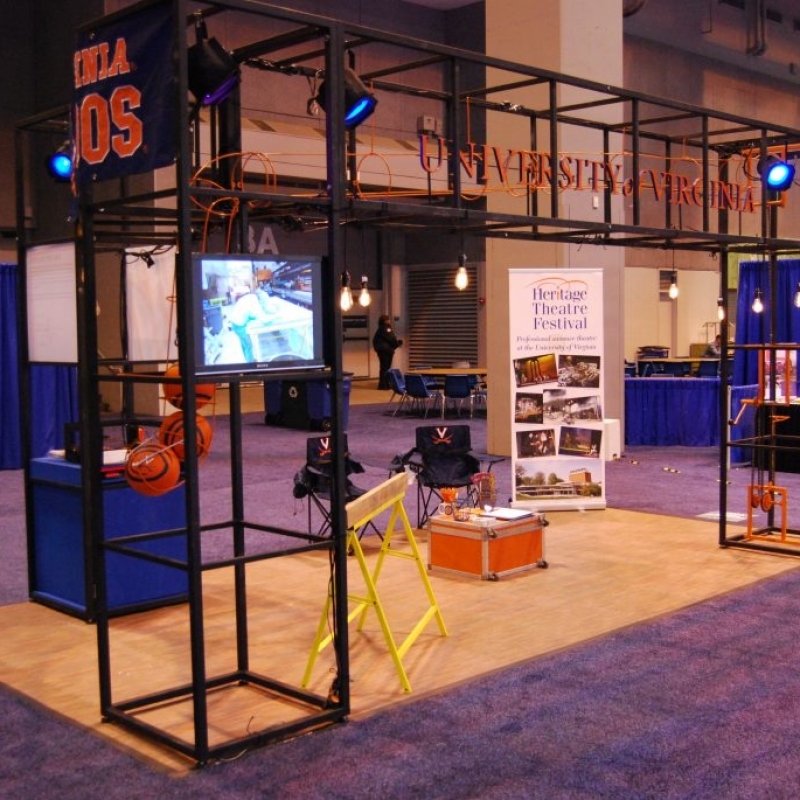 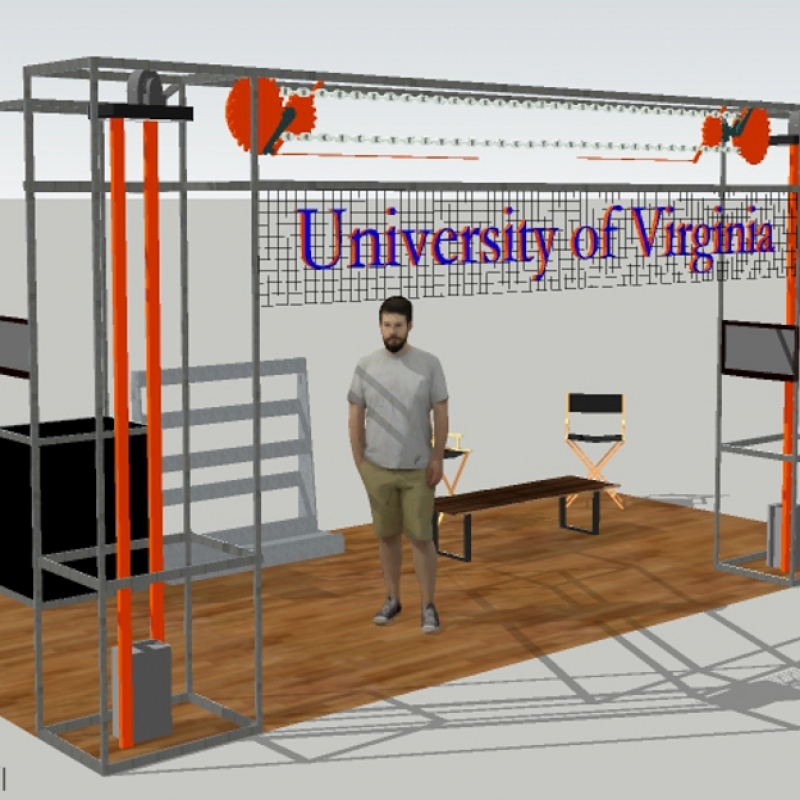 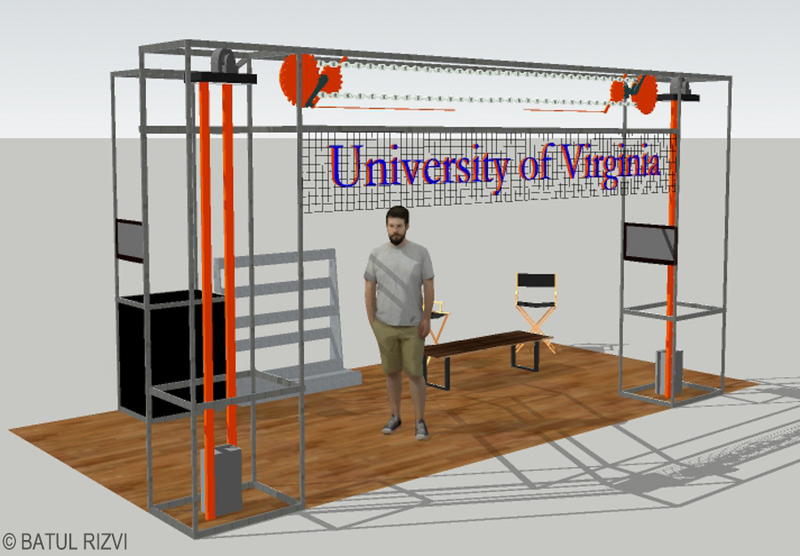 The booth was fabricated at the University of Virginia scene shop and was designed and built to transport and assemble easily. 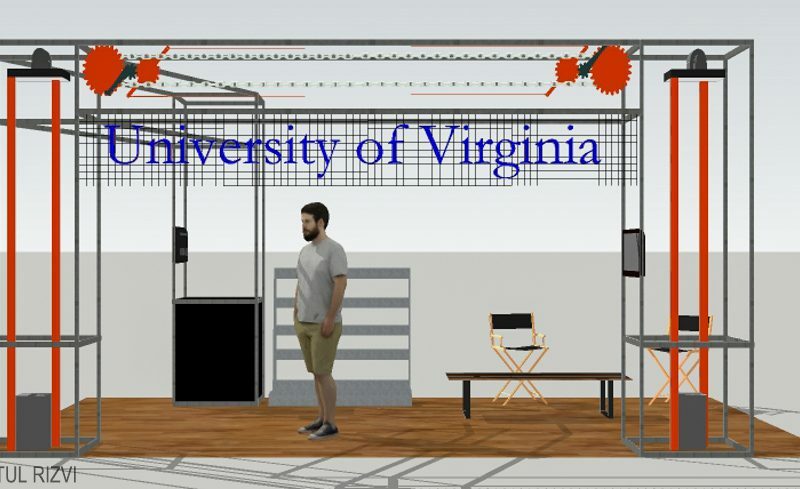 The booth was designed to showcase the work done by students and faculty of the University Drama Department, as well as the Heritage Theatre Festival. 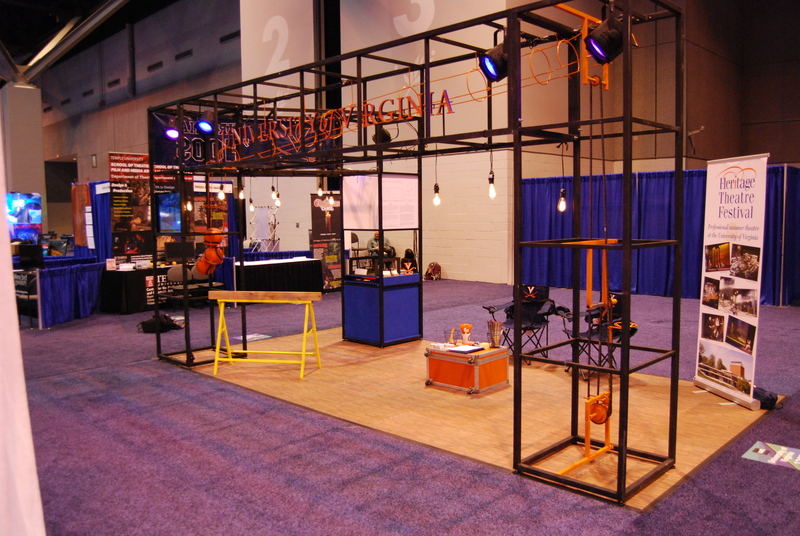 It featured video content, a user operated crank lift, custom signage and project displays, and hanging bulbs.